For those of you who have been reading my blog posts lately, you’re well aware of the calamitous affects of emotional abuse, particularly scapegoating, that have been my main source of writing inspiration of late. My intent is not to write for pity or sympathy, but to gain awareness and healing from a very traumatic family history. I cannot emphasize enough the amount of gratitude I have for all of you and for the support I’ve received. I am eternally grateful. I write today on a positive note-bear with me, things might get weird-to update you on the bright stars that have been shining as I walk my path to recovery. Firstly, it’s important to know I’ve committed to an entirely holistic approach to heal the broken parts of my being. Body, mind, and spirit have all been ruptured-and they all must emerge in unity-to fully repair the broken life that lives inside me. This is a philosophy I live by, and if you are a skeptic or a critic please stop reading now. My body is my vessel to carry me through life. This has always been my mantra, and it goes without saying that a healthy body is the first step to a well-lived life. I exercise regularly in a way that is fun and motivating for me. Each one of us will find an activity (or several) that works for us, and I enjoy working out twice a week in circuit classes, enhanced by hikes in the forest with my dog, and sometimes my husband and children, as long as they don’t complain. I am motivated at this point in time to reignite my love for figure skating by dumping my therapist. Sometimes, you just have to go with what “feels” better, and this feels much better for me, especially on Mondays. I have a healthy body but I have to ask: so what? The pain is internal-my insides feel like a 1,000 piece jigsaw puzzle-fragmented and lobed with only the outside border put together. How do I reconnect the pieces of a shattered reality? How do I relive the painful events of my life that run in a constant stream and fit them into a world dedicated to love? How do I overcome this trauma? It’s not easy, but it’s not impossible. First is forgiveness. 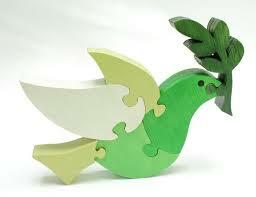 Forgiveness has allowed me to move past the accusing finger and focus on those puzzle pieces. Ignoring these parts is what allowed me to deny the reality in the first place. This is a difficult concept to explain, but wounded souls such as my own often live a life pouring focus onto others or onto “important” tasks. These tasks ultimately end up in failure. Luckily for me, my focus was first and foremost my children, who are not failures but girls with courage and strength. I am so proud of myself and my husband for doing an outstanding job at one of life’s most difficult and rewarding roles as parents. But I’ve failed at tasks along the way: attempts to “rescue” a broken nonprofit; attempts to fight a stubborn school board; attempts to force a career that clearly wasn’t possible. Why did I do this? 1. To prove how strong I was. 2. For approval of my good character (especially from my parents who never really cared in the first place). Hmm. How did this work out for me? It didn’t. None of these attempts garnered appreciation or made anyone marvel at my conviction. None of my endeavors succeeded with the vision I had in mind while undergoing the battles. I was ultimately engaged in a war against myself. But I didn’t see this until I reached a crisis and turned my focus inward as opposed to outward. With prayer, meditation, extensive night-time processing, and with vocalizing every logical and illogical human vulnerability, I have reached a place of great peace and understanding. My husband is a saint for listening to my analyses, my trivialities, and my paranoias, and still loving me for who I am. Our marriage is better than ever, and I couldn’t be more ecstatic about our sacred bond. Our children are happy and loved, nurtured in a way that has made a visible (and audible) difference in our house. There is less fighting, less stomping, and less holding in of emotions. Our daughters are beginning to open up about their thoughts and emotions to a more receptive mother. This new mother is there to listen, validate, affirm, and if needed, to alleviate the problems in their lives. It’s a win-win for everyone. 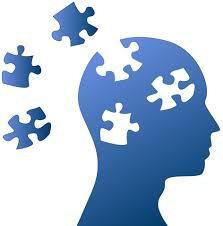 Listening to their worlds removes focus from the puzzle pieces, but unites them in the process. My children make me more complete and I love them with all my heart. A huge support network of friends have made themselves available to me-I am eternally grateful for the love I receive from them-especially Melissa Hart (happy birthday), Anna Doran, and Father Jeff Hubbard. Thank you, thank you to these stars on my path. Now for the weird stuff I warned about earlier. The holistic approach through body, mind, spirit wouldn’t be complete without healing through “alternative” methods. I see a massage therapist regularly, who is also a star on my path for she knows my entire story. Through her touch and empathy, she makes herself open to receiving the toxins released from my body. She proved the validity of her healing potential when she performed reiki on me the second week of my “Enlightenment”. Yellow bursts of light became visible as I felt the heavy anger lift out of me. The anger never returned. Enraptured by the resulting lightness, I began to meditate to chakra colors. I have never meditated outside of yoga class, and I wasn’t aware of its healing potential until this crisis. Because it is a spirit driven force, God is present in every realm that turns awareness to myself and to the spirit world that is ever-present, but rarely recognized through occidental practices, especially in formalized health care. An event of chakra opening in the day led me to an experience of night-time awareness: I awoke to use the bathroom and in the darkness my entire being was surrounded by hundreds of little stars. It was so breathtakingly beautiful and peaceful I can’t even describe it. And yes, maybe TMI, but they were there even while I was on the toilet. I recognized them as graces that needed recognition from myself. This event has made me much more aware of the spirit world, and I find comfort in it. Now that I am aware of it, I don’t know how I was able to live without it. Perhaps, I am now living. My family’s pain is a grief I must endure from a distance. I can’t be the scapegoat any longer-my integrity is too important. I can’t discuss their healing until my healing is complete-an impossible task where grief is the ultimate battle. I love them still. I love them always, but I’ve found love from the world that just feels better. I am joyful this Christmas season for the presence of God that proves my worth, my validity as a human. I have found great love in humanity by finding a great internal love for myself, via prayer and the colors of a rainbow. I am truly, truly blessed. I write this to dispense hope for anyone targeted by an important person in their life. True healing begins with forgiveness and self-awareness; integrity is too important to get lost amidst the puzzle pieces. Build your life with it and life will nurture you with beautiful stars. I wish all of you a very colorful, peaceful Christmas. Thanks again for thinking of me. Janelle. Thanks for commenting and your eternal compliments. I am lifted by every word of encouragement-through the web and in person. I, of course, love your blog and your presence in my midst. Cheers to you Janelle! I wish you well on your healing journey. Thank you for your honesty, wisdom and wit i sharing it with us. I’m so happy to hear you are moving forward in such a healthy and beautiful way. In a reiki session, I was told to always have a rose quartz on my body to protect and heal my broken heart, and to wear an aquamarine stone around my neck to help me speak my mind and find my voice. It’s working 🙂 Merry Christmas! Thanks Vanessa. I feel so supported in this little blog world. Thanks Vanessa. It’s always great to see your face. Thank you. I don’t find it weird either, but I live in a very open-minded space. Thanks for sharing this space with me.